So the wedding invitations are starting to arrive through the post and first thing that comes to mind is WHAT DO I WEAR? never fear at Style Hunters UK we have searched out the best looks for the season! The first trend is the below the knee dress. 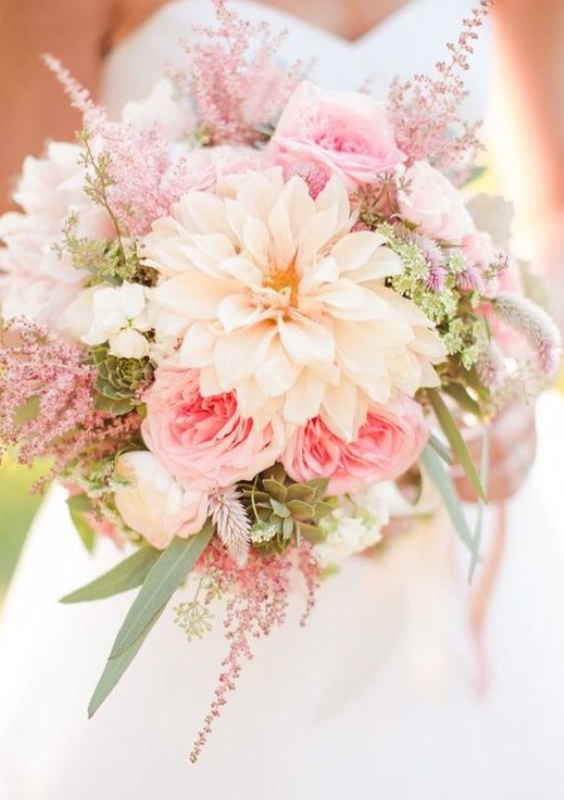 This is one of the easier trends to master for the wedding season! No matter if it is a church ceremony or just a reception you cannot go wrong with this style. First up is this beautiful Jaquard print dress from Maje. With the bandeau style is very flattering and it gives you a little sleeve. It’s not a cheap option at £315 but very much an investment piece. 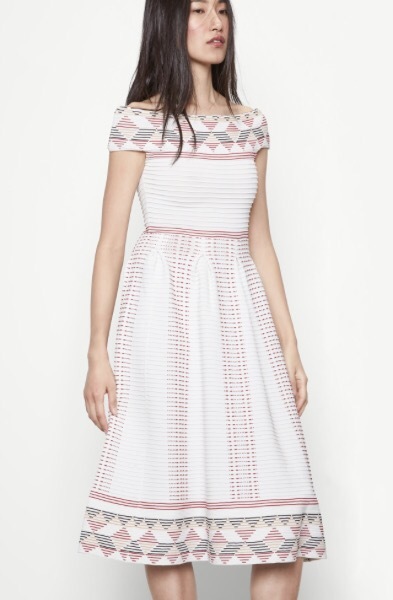 Next up is this Watercolour Organza dress by Whistles. This is a perfect option for the warmer climates in 100% silk. At £175 it is a great price for pure silk and if your quick Grazia magazine has 25% off Whistles this week. Last but no mean least is this gorgeous green number by Jaeger. 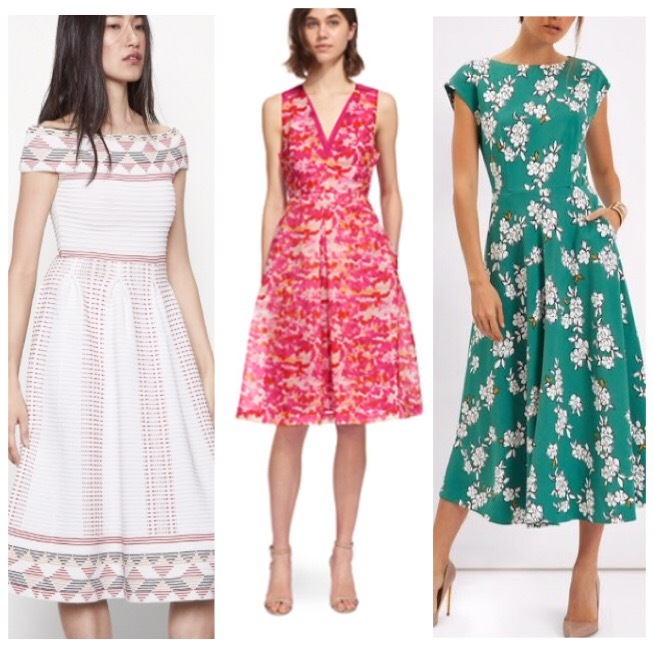 Perfect for a Spring event. Light and comfortable to wear all day. Investment piece at £225. 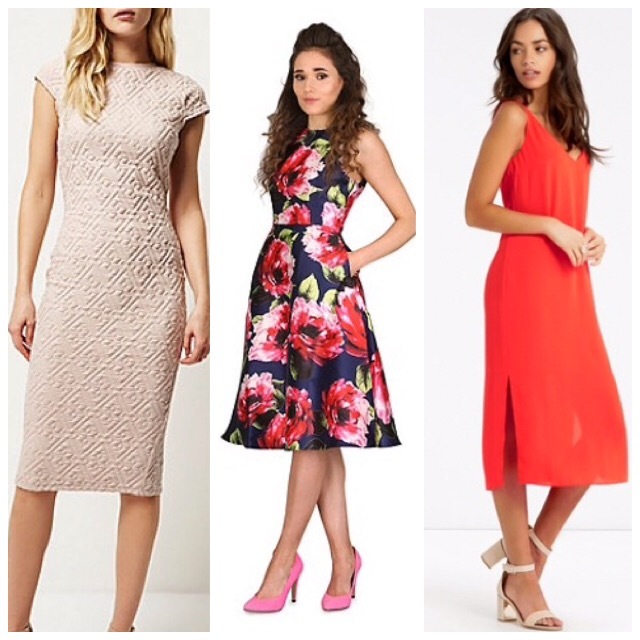 However if your on a budget here is a selection of midi dresses under £50.